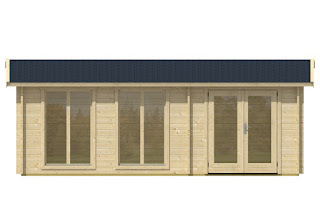 Montrose 44 log cabin - New for Autumn 2015! 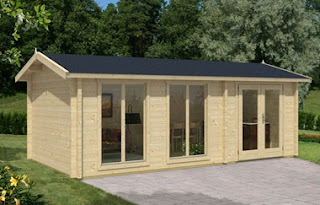 New to our range in Autumn 2015 is the Montrose 44 log cabin. With porch area and two separate rooms with premium double glazed windows and doors this is a very versatile design suitable either as a garden office or games room. Premium double glazed windows and doors. Available in 44mm and 70mm logs the Marlborough log cabin is light and airy and very solidly built. 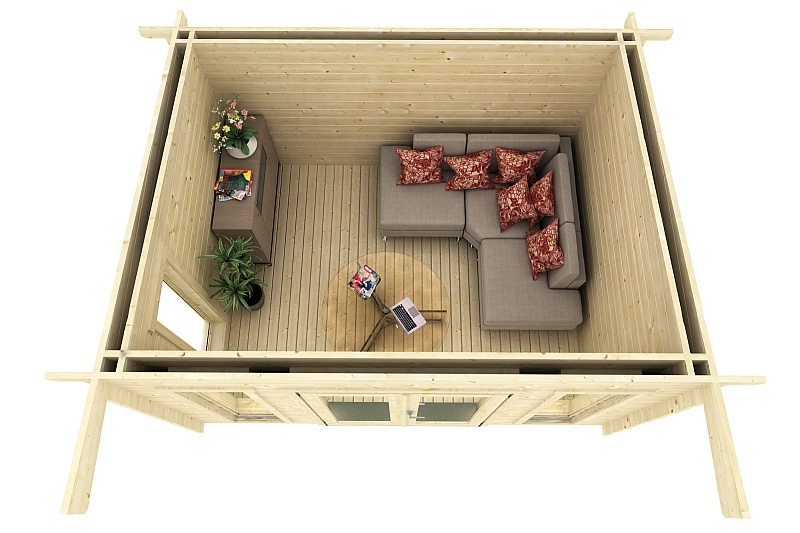 Introducing the new Shetland 2 Double walled log cabin available from £5195 including VAT and delivery. Previously available in 70mm log we are now pleased to offer this model in twin 44mm logs with a 100mm cavity suitable for extra insulation between the walls. 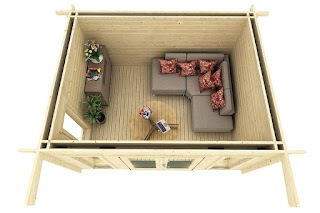 A 100mm cavity between two 44mm spruce walls provides room for additional wall insulation to make a super efficient garden room suitable for all year round use. 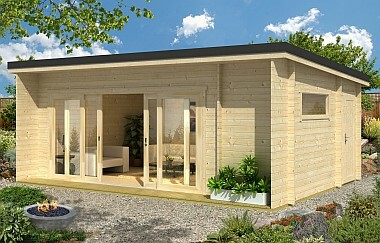 Barbados 3 UK double walled log garden office - Introductory offer £4750! 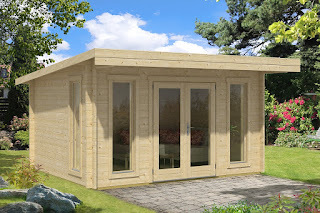 Introducing the new Barbados 3 UK double walled log garden office. For the past few years we have offered a few bespoke cabins similar to this model but due to popular demand we have secured a small production run of double walled log cabins which means we are able to bring this model to a wider audience at a reduced cost. 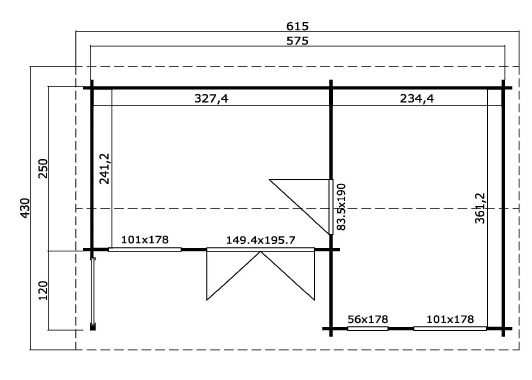 Measuring 4m x 3.1m the Barbados 3 has been a popular size for many of our customers. 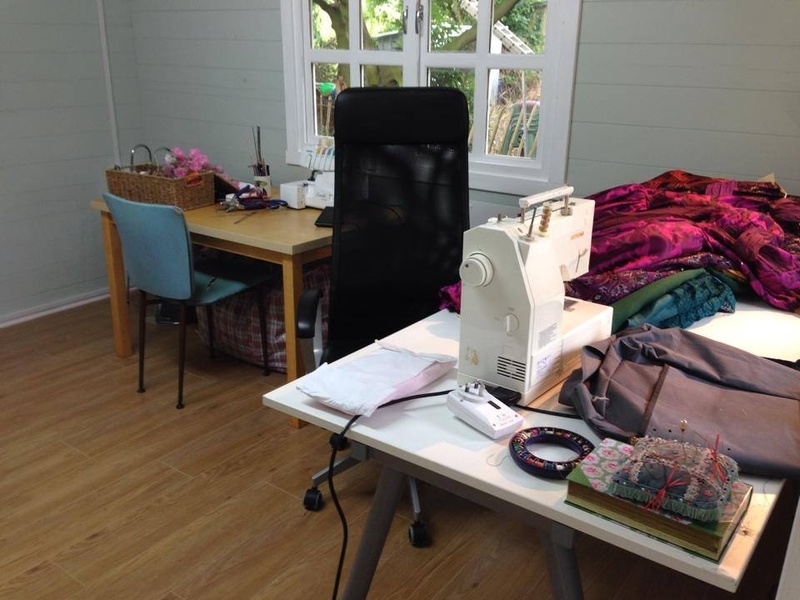 With room for a sofa, and even two desks or a sofa bed and a a single desk it is a very useful bit of extra space. With our options of roof, floor and wall insulation and the added benefits of our complete electrical installation service and the amazing underfloor heating system you could move in all year round! One of the coolest designs installed in 2014 was the Java log cabin complete with folding/sliding doors. The Java uses 70mm thick logs which create a very strong building and the folding doors open up the living space to the garden. Here we have a shot with the basic wall structure complete ready for the roof boards to be fitted. This model has double glazed windows and doors and a small side store with its own external access door. 20mm tongue and groove roof boards are fitted and the cabin also includes tongue and groove ceiling boards where ceiling insulation can be fitted between the rafters. Doors in place and the small decking area nearly finished. Either an edpm roof or corrugated roofing sheets are fitted to this model. The doors can opened up and slide over to one side creating a massive opening onto your garden. A side store a the back with its own access door and a frosted glass window to the small internal room accessed by an internal door handy for a toilet or store room. 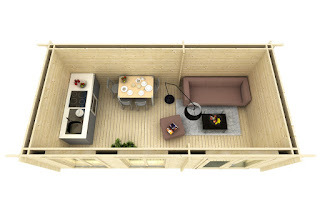 Only a few pictures of the Lowered Devon log cabin reduced to 2.5m ridge height to avoid the need for planning. 4 inch concrete pad prepared for the cabin to sit on. 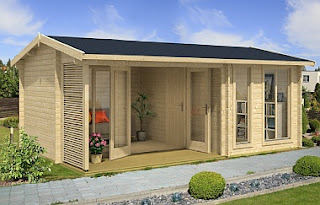 The Devon, Luton, Wales and Liverpool log cabins all feature the 1 metre canopy shown on this model. 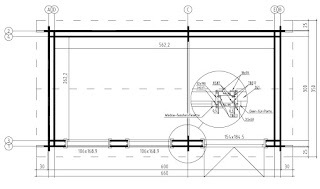 There is an option to supply an additional verandah for £300 or £500 including fitting costs if you are taking advantage of our installation services. Front trim still to go on and insulation about to be installed. 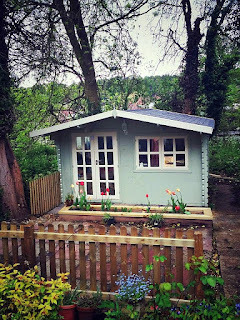 September 2014 saw us building the Dorset log cabin on a pre-prepared deck base. Installed in a day including the options of roof and floor insulation. The cabin is moved into position and log lengths are sorted into their various sizes to speed up assembly. A sizeable timber base prepared prior to our arrival. Double glazed windows and doors with one opening window the Dorset log cabin is good value for money. With a flattish roof such as this we recommend either an EDPM roofing system or Corrugated Bitumen Roofing sheets. Only a couple of pictures of the Warminster log cabin aslo known as the Borkum 3 log cabin installed in Caterham in June 2014. The Warminster log cabin offers the combination of a Summer room and a handy side store for all you garden tools or bicycles. 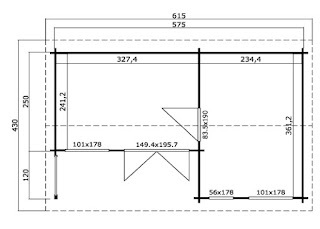 The front and rear wall can be reversed so that the store can be built on the left or right side. 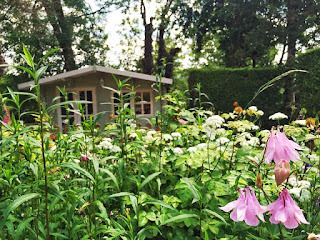 Towards the end of June 2014 and we were installing two cabins in the Southern fringes of London. 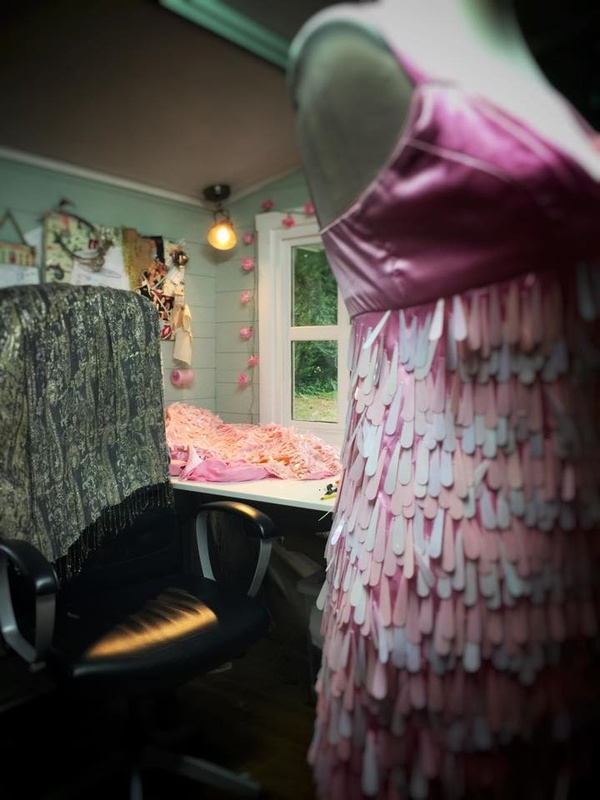 This is the Lowered Liverpool log cabin installed in Coulsdon for a very talented Dress and Costume Maker with her own facebook page The Lining, The Stitch And The Wardrobe. It is particularly good to see this cabin in full use in the pictures further below. The walls can be reversed if necessary so that the doors are on the left or right and the side window can be placed on either side. With 44mm logs and double glazed windows this is a very solid cabin on a reasonably small budget. 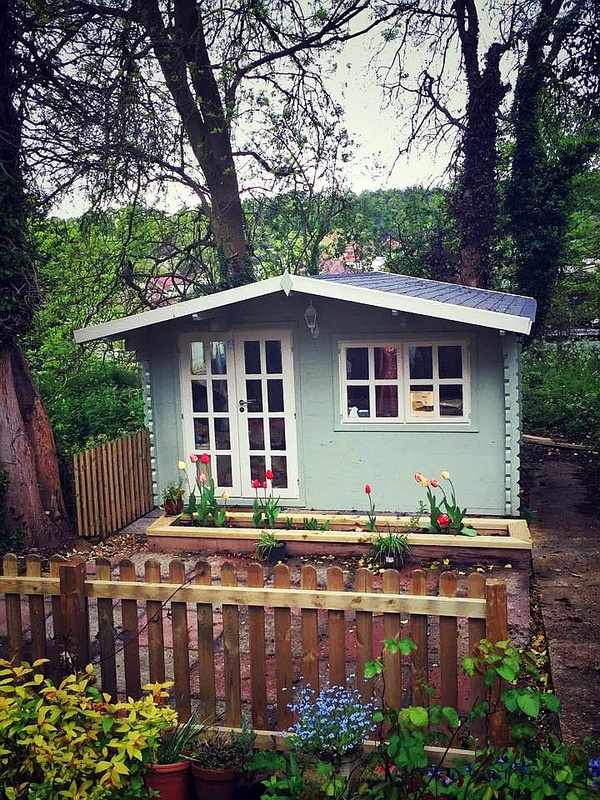 The cabin starting to settle into its surroundings with a lovely neutral paint colour. 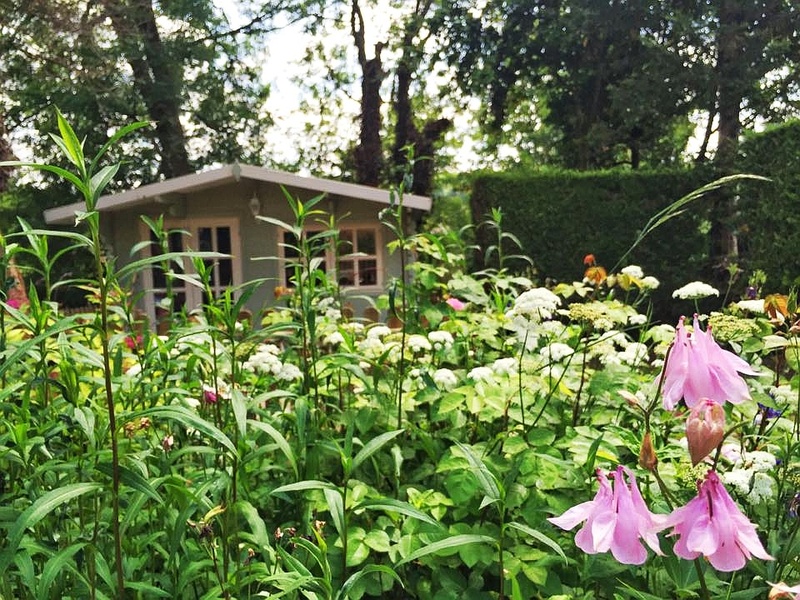 The garden in full bloom really sets an idyllic scene to work from home. 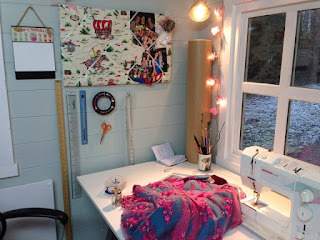 It may be frosty outside but it certainly looks like a lovely place to work inside. Approaching mid Summer in 2014 and the next installation update is a bespoke 70mm thick walled version of the Cheltenham log cabin which has the added feature of our higher grade "weekend+" class windows and doors. 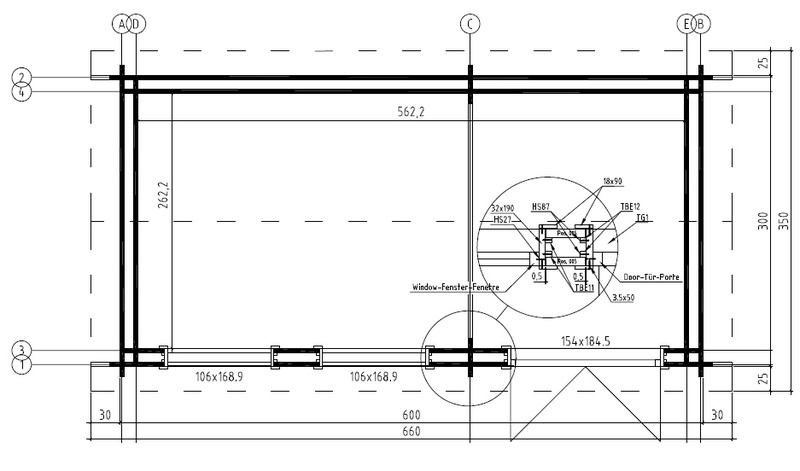 Corrugated roofing sheets or an EDPM roof are recommended for this model. We would not recommend fitting bitumen roof shingles on a roof with less than 15 degree roof pitch. 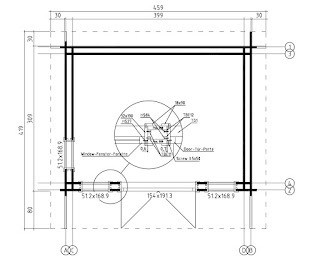 Weekend grade windows and doors feature milti point locking mechanisms which can be seen clearly if you click on the pictures below. Any 70mm walled log cabin from this range will feature these higher grade double glazed windows and doors. Open the single handle 90 degrees to hinge the window. 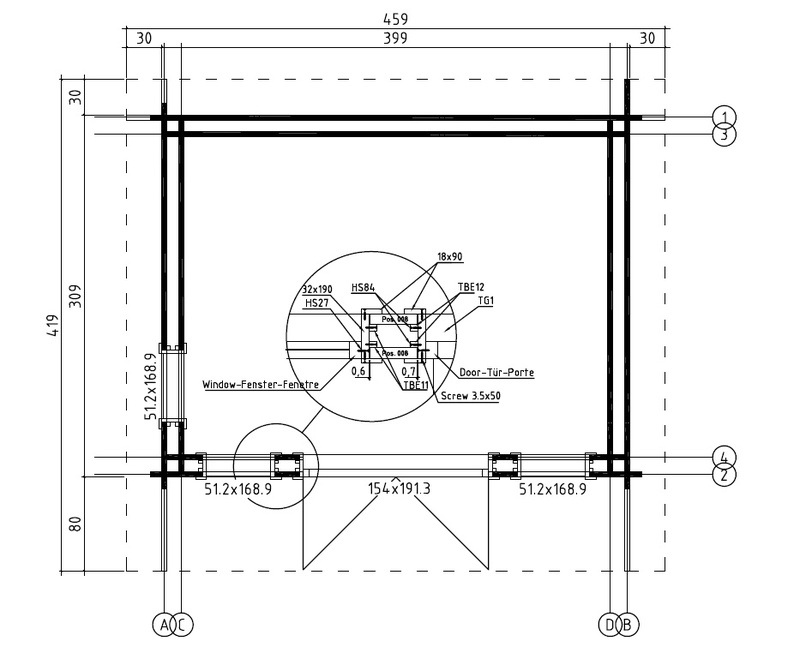 Turning the handle 180 degrees and the window will tilt open hinging at the bottom instead. Insulated ceiling and floor and electrics being installed. A lovely thank you note from another Happy Customer!